政権交代　（せいけんこうたい） , or “power change” was the battle cry of the Democratic party here in Japan for the last month or so as everything built up to today’s Lower House election, which for the Japanese is the major election (as the prime minister isn’t elected directly by the people). 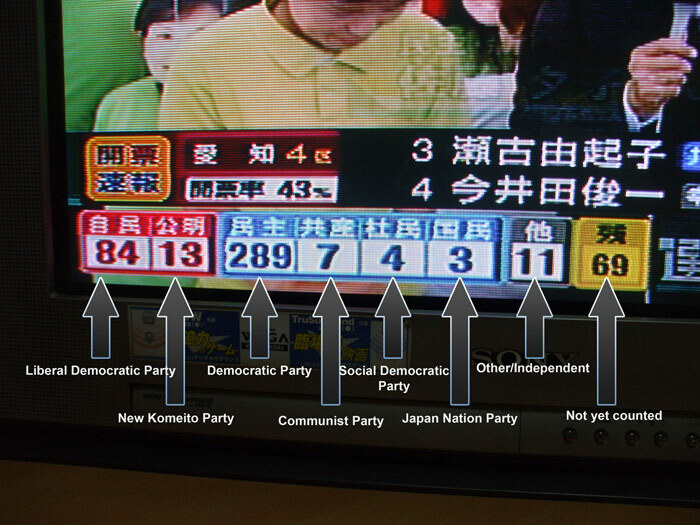 I think most people expected the Liberal Democratic Party (LDP) to lose the election, but the sheer margin of this defeat is mind boggling. If the Democrats in the US had won like this last year, health care reform would be finished already and we would all have jobs and eco cars… maybe. Oh well, that’s what they get for not taking the election seriously enough… Prime Minister Aso Taro didn’t resign like many thought he should, and during the election even rudely walked away from the Democratic party leader after a debate without bowing or even making eye contact. And what was up with those TV ads with the emotional music and prolonged clips of Aso just staring into the camera, interrupted occasionally by words like “experience” and “responsibility”? This is a historic political moment for Japan, and everyone will be watching carefully to see what exactly changes as a result of it. 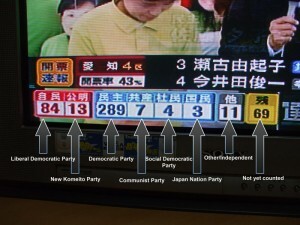 At the very least, I imagine it will take the LDP quite a long time to regain their status as a political player. 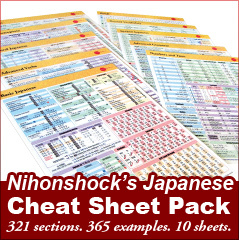 politics Shocking News Posted under Shocking News by Nihonshock.